Like all teachers, I want my developing readers to find a book that hooks them, and Jack Gantos is a safe bet. His Joey Pigza series, along with his short stories, are really popular with my students. 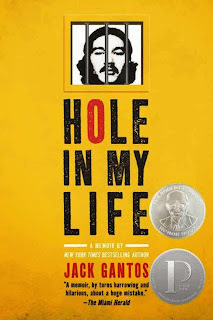 So when Hole In My Life, Gantos' memoir, appeared on the summer reading list, and subsequently, my classroom shelves, I was excited to have another title to recommend. One of my reluctant readers zoomed through this book, occasionally coming up for air to mention "smuggling hash" and "prison sentencing". Ruh roh! As soon as he finished, I read it. Yes, there is a lot of drug use, profanity, and graphic descriptions of prison life. It's also extremely extremely engaging, highly readable, and well-written. For readers in eighth grade and up, it could definitely be the book that starts someone's reading life. 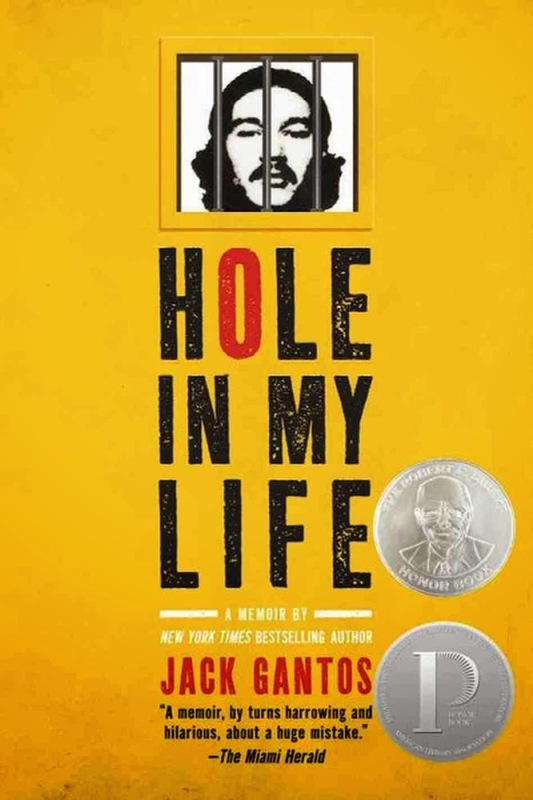 Most interestingly, Gantos' life in prison only takes up the final quarter of the book. Hole In My Life details all the poor decisions that led to his arrest. Best of all, there is no mistaking that any of Gantos' decisions would be worth repeating. I'm on a roll, finding books that would be perfect for our 8th grade summer reading suggestions.